be added to the new form. You can notice the settings of the field appearing beneath it. 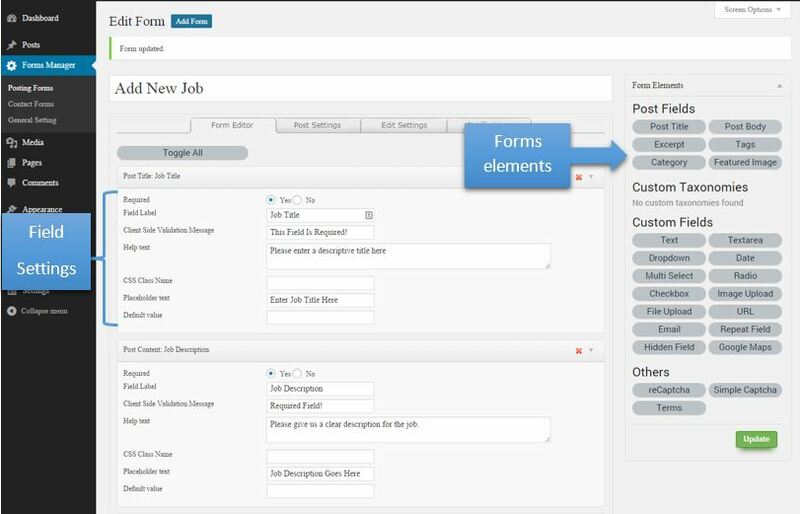 Choose the fields you want in your form then click “publish”.